LaShawn Merrit will be running the 500 meters at the new and improved Millrose Games. The meet will be held at the NYC Armory, which offers a fast 200m banked track, opposed to the Madison Square Garden 11 laps to the mile (145 meters) wooden boards! Can he break the world record? What is the indoor 500m world record? The official 500 meters world record was set by Ken Lowery of United States in 1:00.17, back on January 16, 1987 in Indianapolis, Indiana. 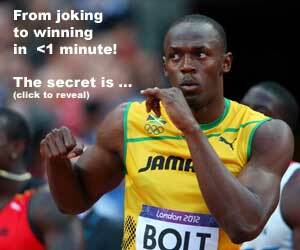 Whoa, but That’s not the Fastest! On January 27, 1986, my Canadian buddy Doug Consiglio set a NCAA Record in the 1000m (2:19.64) on a 200m FLAT track in Fayetteville, AR. The very next race, Roddie Haley set a WR (at that time) for the 500 meters in (1:01.18). A World Record! Who cares about that NCAA record 5 minutes earlier! On March 15, 1986, Roddie Haley lowered the WR for the 500 meters with a 59.82 clocking in Oklahoma City at the NCAA championship, being the first man to break the magic 1 minute barrier. Screw the 4 minute mile. The race was held on a 10 lap to the mile board track, so technically it’s slower than a 8 lap per mile 200m banked track on a synthetic surface and 7mm Christmas tree spikes! Doug Consiglio ran 2:19.36 for the 1000m on that same meet, another NCAA record. However, the performances for record purposes were later considered void because the track had no rail or curb on the inside lane. This is a farce, because if you stepped outside the line, you would fall off the track, so no one ran close to the line! Today, along with the 59.82WR, Doug’s 2:19.36 would still be the NCAA Division 1 record if somebody would have installed rails. Ironically, the Division II record was set by another Canuck, Freddie Williams, from Abilene Christian with a faster time of 2:18.84, set on the same race as a special guest invite. To make things more confusing, at the 1987 NCAA Championships, Roddie Haley ran 59.90, the same race where Kevin Robinzine, Butch Reynolds and Raymond Pierre all ran major personal bests. The controversy stems from the heats where the staggers were not measured properly. so this too was deemed null and void. So with BOTH of Haley’s time wiped from the books, Lowery’s 1:00.17 just beat Haley’s 1:00.18 as the WR. The official WR for 500 meters is Ken Lowery’s 60.17, but the fastest times belong to Roddie Haley with 2 sub 60 second performances (59.82 & 59.90). Merritt should break 60, that’d be great to see! Shame MJ didn’t have a go at this in 1995 when he was in WIR shape… Jimson, do you think MJ could’ve gone through 400m in 45.9 and had enough gas left to break 59? who really cares what merritt has done, still considered a cheat here in europe.